Washington (AFP) – The Orlando Magic parlayed a big third quarter into a 103-95 upset of the Boston Celtics on Sunday, their third win in 20 games coming against the NBA’s Eastern Conference leaders. Elfrid Payton scored 22 points for the Magic, who had lost their last 14 games in Boston in a skid stretching back to February 2010. 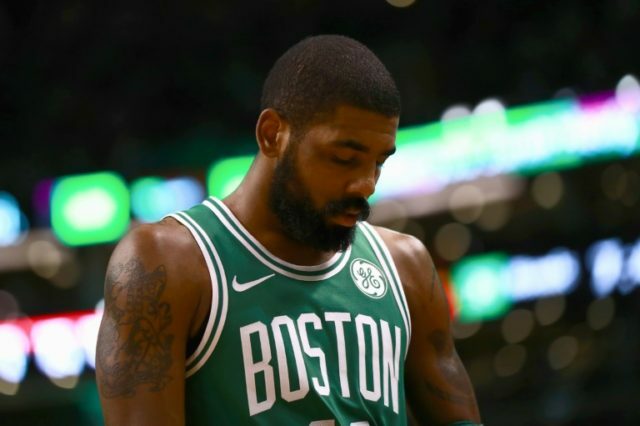 Orlando spoiled the return from injury of Boston point guard Kyrie Irving, whose 40 points couldn’t prevent the Celtics from dropping a third straight game for the first time this season. Irving had missed Thursday’s loss to the Philadelphia 76ers with a nagging shoulder injury. Jaylen Brown scored 17 points and Marcus Morris finished with 12 to score in double figures for the fourth consecutive game for the Celtics. Evan Fournier scored 19 points and Aaron Gordon produced a double-double of 11 points and 12 rebounds for the Magic, who started the day in a three-way tie for the worst record in the league. Orlando trailed 59-58 at halftime, but out-scored the Celtics 32-12 in the third quarter to take a 90-71 lead into the final frame. The Magic’s upset bid appeared to be coming unstuck as they made just one of their first 16 shot attempts of the fourth quarter. The Celtics trimmed the deficit to seven points on Al Horford’s hook shot with 1:13 remaining. A free-throw from Payton and Fournier’s floater in the final minute stretched Orlando’s lead back to 10. Elsewhere, Victor Oladipo delivered 19 points as the Indiana Pacers ended the San Antonio Spurs 14-game winning streak at home with a 94-86 victory. Darren Collison tallied 15 points for the Pacers, who halted a three-game losing streak in San Antonio. The Spurs lost at home for the third time this season and the first since November 10 against Milwaukee. Pau Gasol had 14 points to lead the Spurs who were minus Manu Ginobili, Rudy Gay and Kawhi Leonard because of injuries. Tony Parker came off the bench to record 12 points and five assists. It marked just the 14th time in 1,165 games that Parker has come into the game off the bench. In Los Angeles, Jordan Clarkson had 29 points and 10 assists, Julius Randle added 27 points and 12 rebounds, and the Los Angeles Lakers beat the New York Knicks 127-107. Kyle Kuzma added 15 points for the Lakers, who have won their six of their last eight games and the last two without injured rookie Lonzo Ball.